December, 21 2016, New Delhi: The pain that citizens have felt due to demonetisation is showing up across the country. People have faced problems in withdrawing cash from bank branches initially due to the long queues and now due to banks telling them that they can give them a maximum of Rs. 10,000 – 12,000 as they don’t have enough cash. 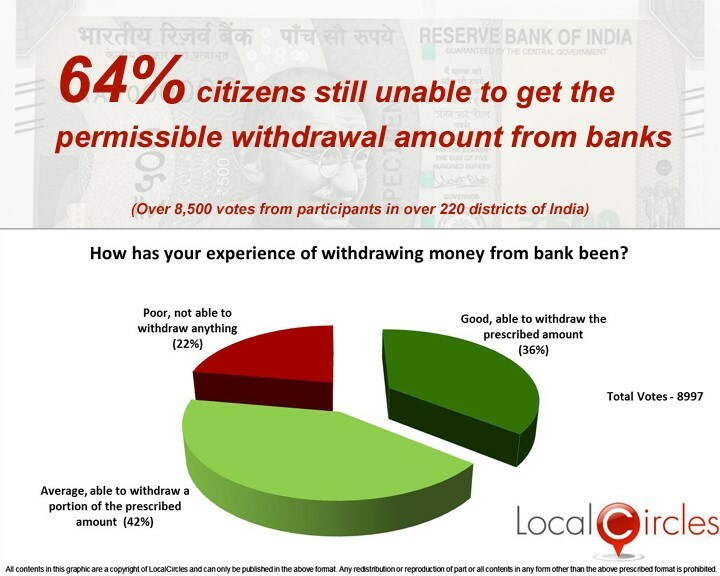 In a recent survey conducted by citizen engagement platform LocalCircles, 64% people said that they are still unable to get the permissible withdrawal amounts from the bank. RBI has set a withdrawal limit of Rs 24,000 a week for savings account, Rs. 50,000 a week for current accounts and Rs. 10,000 a month for the Jan Dhan accounts. But most people complain that the banks never give them the full amount. In this poll where 8,997 votes came in, only 36% said that they were able to withdraw the full prescribed amount from their banks. 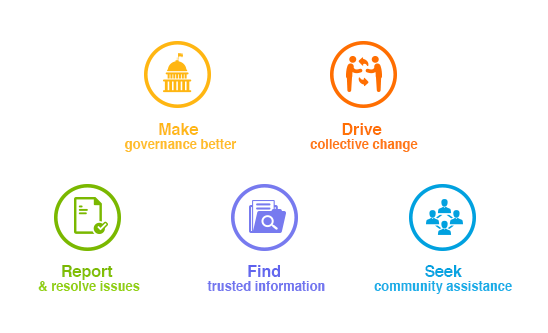 In a related survey, almost 68% of the citizens polled on LocalCircles in an online poll say that the implementation of demonetization program has been bad. The rating for the implementation process has continously declined with it being 51% ten days after the announcement. It was 39% a week ago and this week it has fallen to 32%. Only 32% citizens now feel the Demonetisation implementation has been good. On the availability of cash dispensing ATM front, the situation doesn’t seem to be showing too much improvement as 48% citizens still could not find a cash dispensing ATM between Dec 16-18th.